As a small business owner in Doraville, I have a unique understanding of the challenges your business may face. 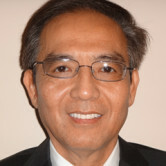 I’m Nam Nguyen and I specialize in helping businesses like yours get the commercial coverage they want. For you, that might mean reevaluating your property or liability insurance. Others might want to adjust their workers’ compensation coverage. As your Farmers agent in Doraville, GA, I look forward to discussing all your options. Please call me at (770) 680-2479 to learn what Farmers can do for you.